Now that cold weather is setting in here in the Northeast, it's that time to start thinking about bringing your houseplants inside for the winter. Our friends at Costa Farms offer these great tips for bringing these beauties inside and keeping them alive until it's safe to bring them outside again in the spring. Bring houseplants in well before the first frost. Some tropical plants, especially, don't even like temperatures in the 40's. Plus, the cooler temperatures often are the signal for the plants to start going dormant. September is not too soon to bring plants indoors. Repot the plants if you can. Fall is not the best time to replant houseplants; spring is better for that. But you don't want to bring in the pots that have been outside all summer with all the critters that live in them now... like pill bugs, millipedes, and spiders, just to name a few. So consider repotting the plants with fresh potting soil before bringing them indoors. Check plants thoroughly for pests. Pests can hide in many places on the plants, especially on the undersides of the leaves. If a plant seems to have a pest problem, such as mealybugs, spider mites, aphids, etc. don’t bring it inside with other plants until you are sure it is pest-free. You may need to use an organic spray to kill the pests or wash all leaves thoroughly to remove them. Consider not bringing plants back indoors if they are diseased or otherwise unhealthy. 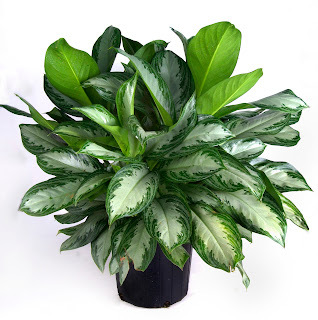 Plant diseases and pests can spread quickly to other plants indoors so it's safer to toss out a diseased or pest infested plant than to end up infecting all your houseplants. Give the plants a little bit of fertilizer for a boost going into winter. Then just water the houseplants when needed through the winter until it is time to set them out again in the spring. You are so interesting! I don't think I've read something like this before. So nice to discover someone with some unique thoughts on this topic. Really.. many thanks for starting this up. This web site is something that is required on the web, someone with some originality! Actually these tips are very helpful for me because last year winter all my plants got died and I was really worried about it. This year I can use these tips to prevent from this problem. So glad we could help! !